By adopting medically-established technologies in the aesthetician clinic, Geneo offers its users the opportunity of effective treatments through encouraging the natural processes of skin rejuvenation. The power of natural oxygenation, complemented by the anti-aging effect of Tripollar RF, both further enhanced by Ultrasound, offer the aestheticians the valuable advantages of immediately visible skin improvement and long-term rejuvenating effects for their customers. The unique treatment protocol is based on the innovative OxyPod capsule, which combines the beneficial active ingredients together with the exfoliating and oxygenating elements. By using the OxyPod, the user both prepares the skin for treatment and infuses the active ingredients in a single action, thus ensuring a safe and highly effective result. Geneo treatments can be offered to a wide variety of skin types, ages and needs, making it a perfect solution for ongoing maintenance of the skin, for targeted treatment of specific skin conditions, and for maintenance and enhancement of skin improvement following a surgical procedure. TriPollar Radio Frequency (RF) technology is an innovative, proprietary 3rd generation RF technology. Following TriPollar treatment, a significant increase of glycerol release by the skin samples was found. The structure of the fat cells was altered in shape and a modification of the fibrous tract was also detected in the fat layer. Additional findings indicated stimulation of the dermal fibroblasts with increased collagen synthesis”. 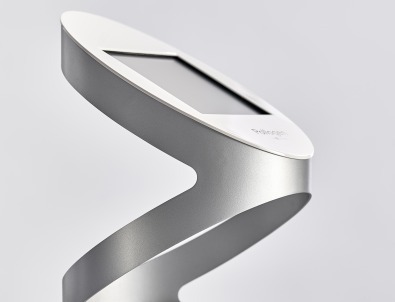 The Oxy Geneo is the very first smart-touch skincare system that offers a new and innovative three-in-one facial OxyGeneo™ treatment: Exfoliate + Infuse + Oxygenate. The OxyGeneo exfoliates and cleanses the skin while interacting with the nutrient-rich jells to create CO2 bubbles. We have been really happy introducing the OxyGeneo to our office. It is a comfortable procedure that my aesthetician can perform, so the procedure is delegated, freeing my time for other procedures". Patient satisfaction with the OxyGeneo has been amazing. The procedure combines the benefits of microdermabrasion with a facial. I was very skeptical as I am about any device I am considering for my practice so I tested it on myself and my skin felt like smooth glass afterward. So I thought that my patients will like it and the satisfaction rate has been 80%-90%." What is the OxyGeneo 3 in 1 Super Facial? A nutrient rich gel is applied on the cleansed skin. The activated OxyGeneo applicator with an attached Capsugen is moved around the face. The OxyGeneo 3-in-1 Super Facial is the most sought-after facial treatment in Canada. 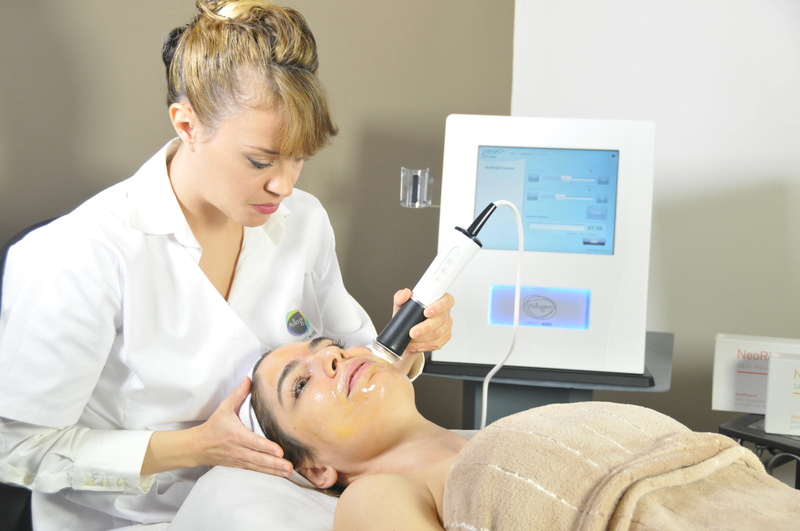 It is an innovative facial treatment that simultaneously provides (1) Exfoliation (2) Infusion (3) Oxygenation.